In 2015 UrbanAlps, based in Switzerland, created a 3D printed security key, called the Stealth Key, that the co-founders say is the new standard of high-security cylinder-locks and keys. The duo who started UrbanAlps, Dr. Alejandro Ojeda and Dr. Felix Reinert, got their start with support from the Venture Kick initiative, and the company was also the winner of the prestigious W.A. de Vigier Award in 2016. The company planned to adapt its Stealth Key for additional markets last year, and planned a Kickstarter campaign in conjunction with the product launch. All of the hard work has finally paid off – the Stealth Key is now commercially available. 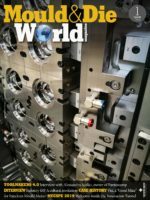 The product launch unveiled the Stealth Key to the public yesterday, at the world’s leading trade fair for safety, security, and fire protection, Intersec Security Fair in Dubai. The two co-founders say they were inspired to create the Stealth Key system when they saw a simple key being scanned and later used to open a standard lock. They decided to use 3D printing as a way to counter the 3D printing threat to keys. Most keys rely on external features, which unfortunately makes them open to hacking. According to UrbanAlps, even some of the highest security keys are vulnerable, because they are able to be duplicated through 3D scanning and 3D printing. Simple keys can be duplicated if they are photographed, and while keys with security chips inside will solve this problem, they are incredibly expensive. So, why does the Stealth Key work when other keys fail? It hides most of its mechanical security features internally. The hidden internal coding makes the Stealth Key unscannable. 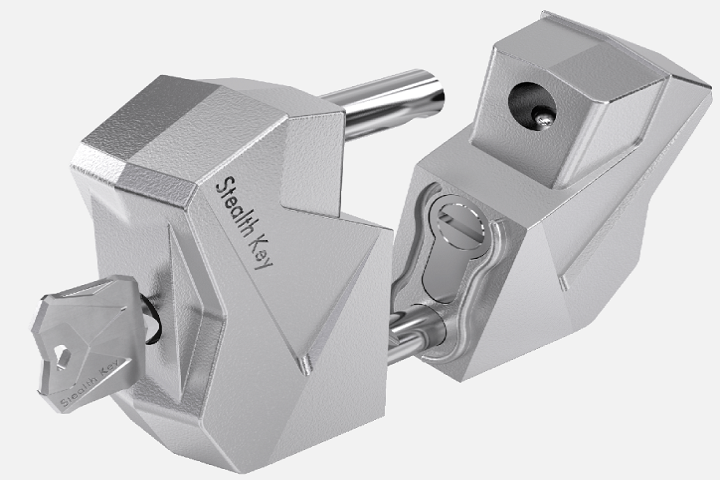 The company is calling its Stealth Key the first 3D printed metal key with hidden internal coding in the world. The Stealth Key, now commercially available, is not only safe from 3D duplication, it is also an affordable security solution. It is inaccessible to scanners, cameras, and clay, and features unlimited customization possibilities, albeit a little more high-tech than the company’s customizable house keys. There are three ways to get your hands on the newly launched Stealth Key. First, the Stealth Key system is available for a limited amount of pilot customers that have high security profiles; the company notes that they are still looking for three additional “medium volume pilot customers for 2017.” You can also answer a four-question survey for a chance to win the first edition of the Stealth system. Finally, anyone can pre-order the UrbanAlps Stealth Padlock, which comes equipped with two Stealth Keys. This heavy-duty padlock costs 970€ and is, according to UrbanAlps, the most secure and beautiful padlock ever released. It has a shrouded shackle, to avoid cut attacks, and the housing and shackle material are both made of stainless steel. The Stealth Padlock is available for international shipping. But order fast, because there are only one thousand units available this year.